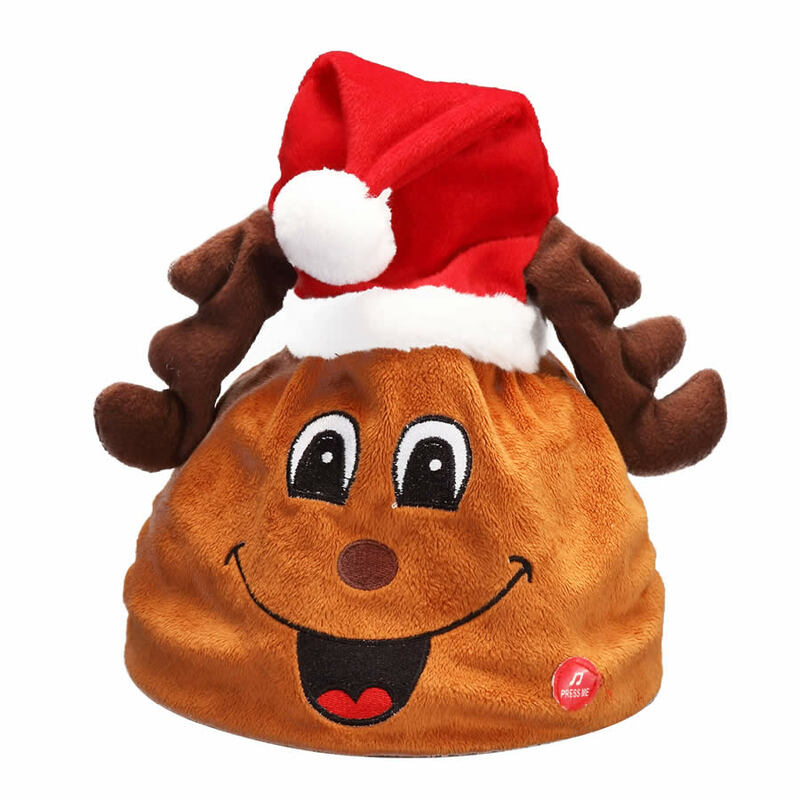 Bring the fun back into the holidays with this delightful Reindeer Animated Hat. Designed to fit a broad range of head-sizes, each hat measures approximately 24cm wide by 25cm in height. This soft-flocked cap is a wonderful item to put friends and family in the Christmas mood, and would also be a great surprise to tuck in a stocking or under the tree. Consider this inexpensive item as a perfect gift for ï¾“Secret-Santaï¾” gift exchanges, when you need something novel that will suit a wide range of gift recipients. The broad smiling face of the reindeer is accented by the bright, cheery cap and soft antlers on his head. Gently squeeze the designated area to begin the animation of this clever and comical gift idea. For loads of laughter and cheer this season, the Reindeer Animated Hat will not disappoint anyone at your holiday gathering!